Coastal flood hazards are diverse and highly unpredictable. In order to develop an appropriate risk management response, it is essential to understand these hazards and their potential impacts. 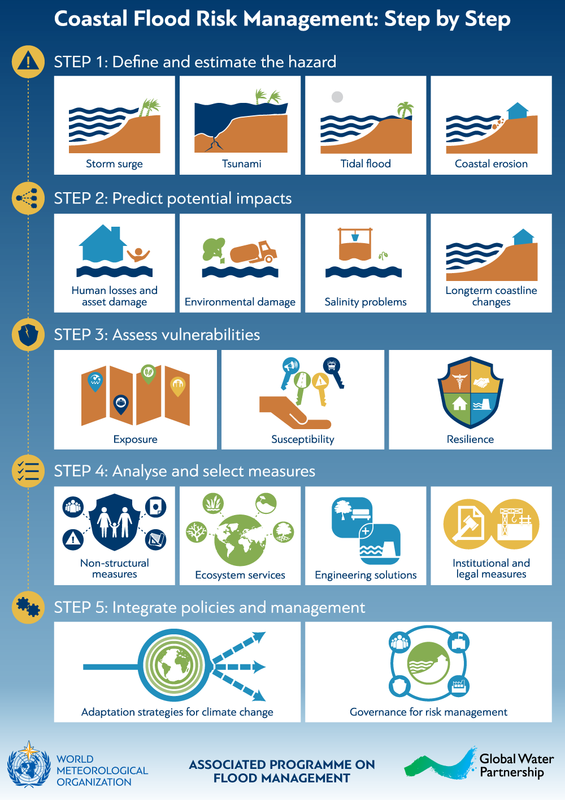 The following steps outline the building blocks for formulating a coastal flood risk management plan, which can be tailored according to the context of a country with its own particular hazards, stage of development, socio-cultural characteristics and institutional structure.